Balance. As you may have noticed, few words have filled these pages over the last several months. Balance. It’s something that hasn’t been in my life of late. Sadly, take-out food has been the norm for quick nourishment. I haven’t had the pleasure of tinkering about in my kitchen, making creations that warm my soul and make me sigh with happiness. Balance. You see, a few months ago I took a new path – more like returned to a well-worn path – and started a new job back in the home building industry. Before I started my new job, this meal was our Sunday dinner. Life has changed, all for the better, and I must find a new balance on this path. It will happen and food is usually what anchors me in a busy and fulfilling work life. Balance. This family recipe is a start. Along with creating soulful food in my kitchen, family recipes offer me a great level of comfort and satisfaction, and they help me foster the continuation of a legacy, a connection through food. This one is a childhood favorite and has celebrated many occasions. I am not sure where it came from but what’s important to me is that it’s from our family and my life. 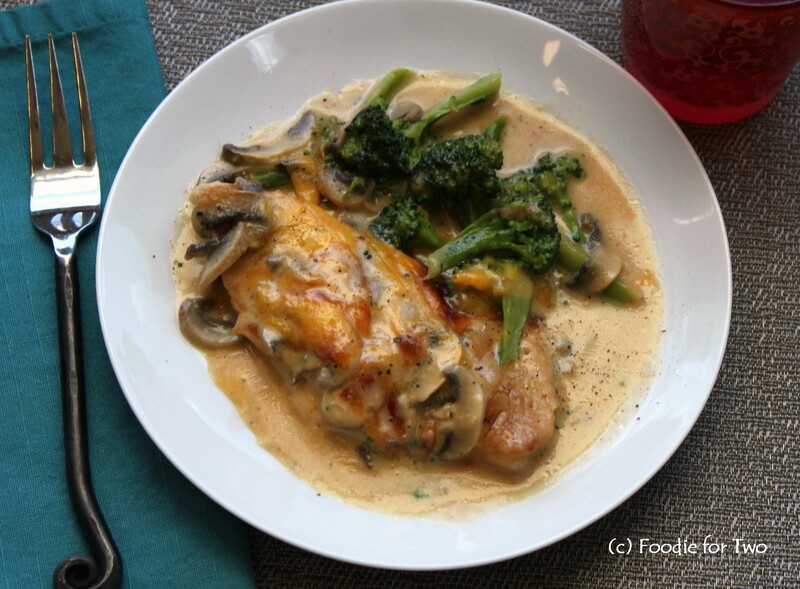 Chicken Mornay is made from tender chicken breasts that are browned and then oven cooked with broccoli, mushrooms and a creamy, cheesy sherry sauce that becomes a thick gravy that begs to be scooped up with every bite. 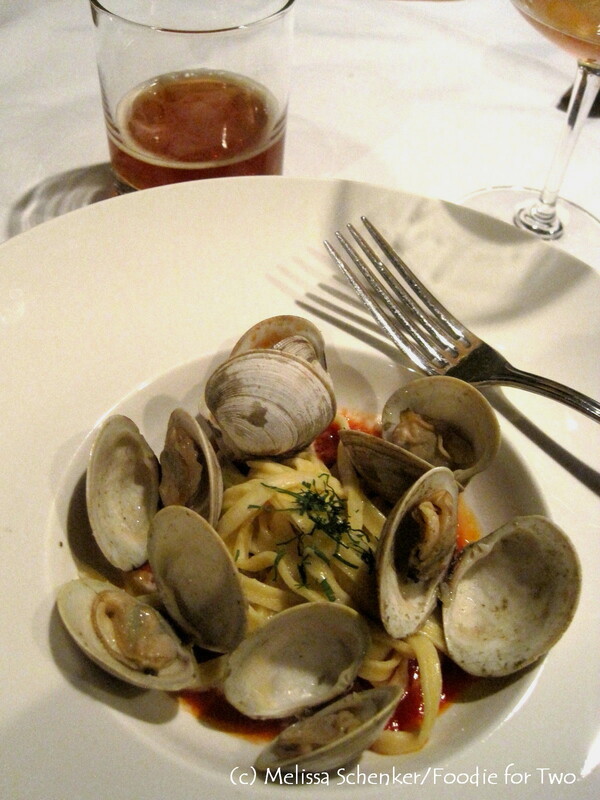 It’s a classy dish that is easy to prepare and make. First, I gather all the ingredients, get everything prepped and start with the broccoli. The broccoli florets are par boiled to speed up the cooking time. 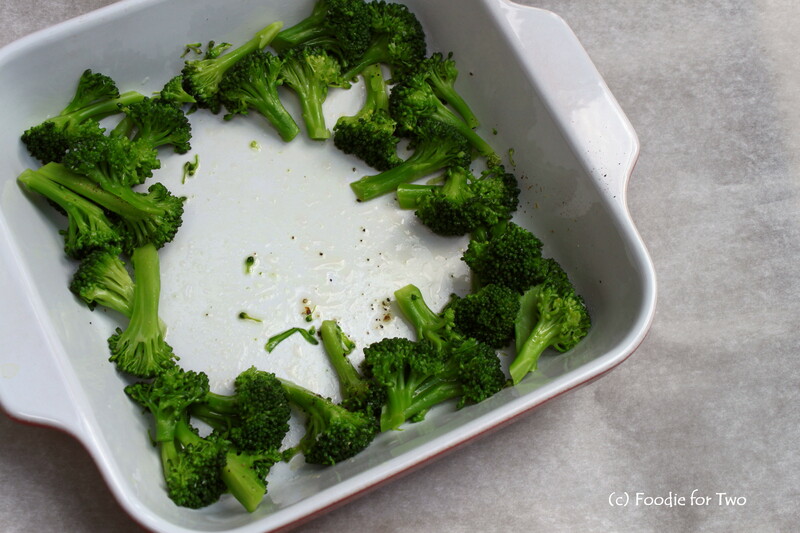 A spider, typically used for fried foods, is a helpful tool to remove the broccoli when done. Transfer the florets to an ice bath (fill a large bowl with water and a good layer of ice cubes – the cold water stops the cooking process for the broccoli and will help retain the color) and let sit for 2 minutes, remove and drain and transfer to a cooking dish. After transferring the par-boiled florets to the cooking dish, toss with some olive oil, salt and pepper and arrange the florets around the perimeter of the dish. The next step is to brown the chicken. The chicken cutlets need to be dredged in flour and I find the easiest way to do this is to use a sandwich paper bag (available at your local grocery story or Costco). 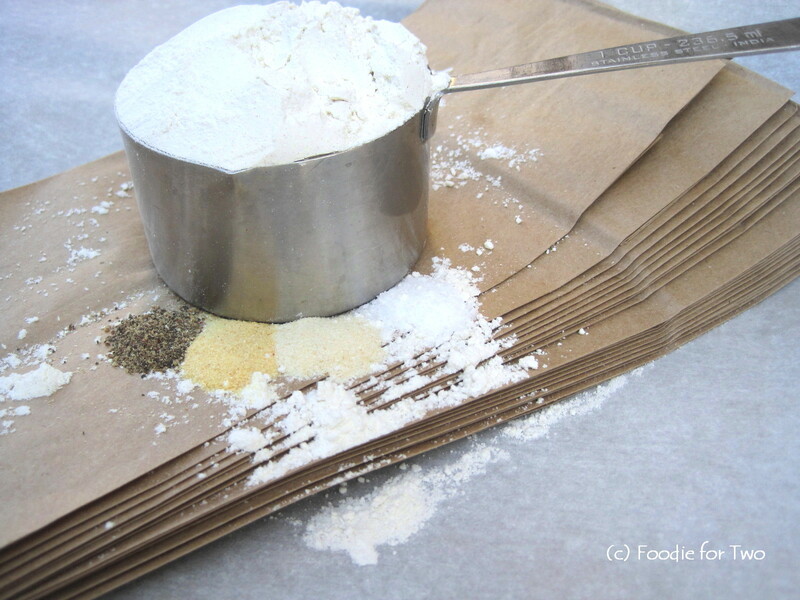 Add the flour and spices to a bag and gently shake to stir, add one cutlet at a time, shake well to coat, remove with tongs and transfer to a plate. Repeat with remaining pieces and toss/recycle the bag when you are done. It makes clean up super simple. After the chicken is browned, add to the middle of the cooking dish. Now it’s time to make the star of the recipe, the sauce! See all those crunchy bits on the bottom of the pan? That is pure flavor, so don’t wipe it out. The sherry and water are added to the hot pan and brought to a boil, while scraping the bottom of the pan to remove the bits, also called deglazing. Flavor note: The original recipe calls for American cheese and I made a substitution with a good quality white American from Boarshead. It makes a notable flavor difference. 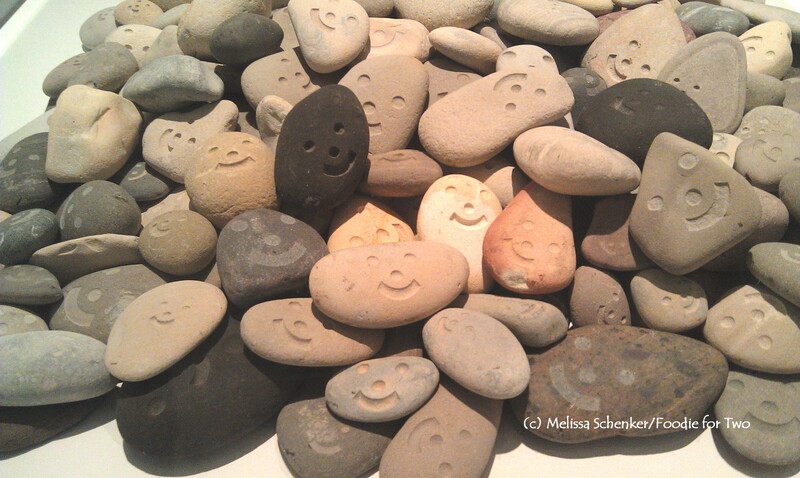 Keep them in a small paper sandwich bag and store them in the vegetable bin of your refrigerator. They will keep for about a week. 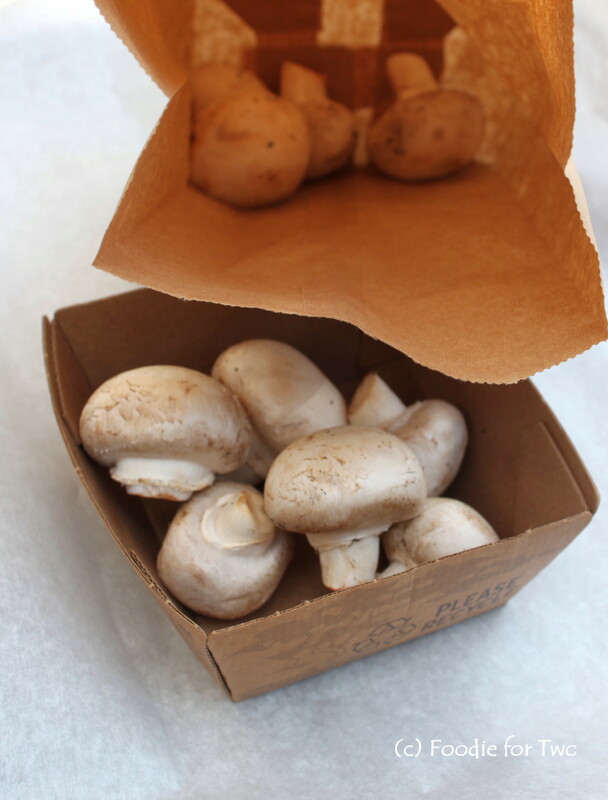 For easy identification, I like to handwrite the mushroom type and date on the outside of the bag. 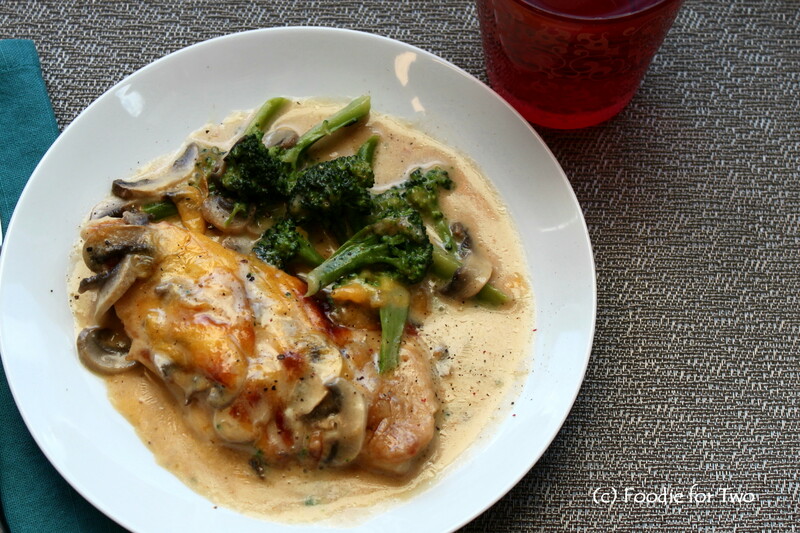 When the sauce is finished, it is poured over top of the chicken and broccoli and it all cooks for 20 minutes. 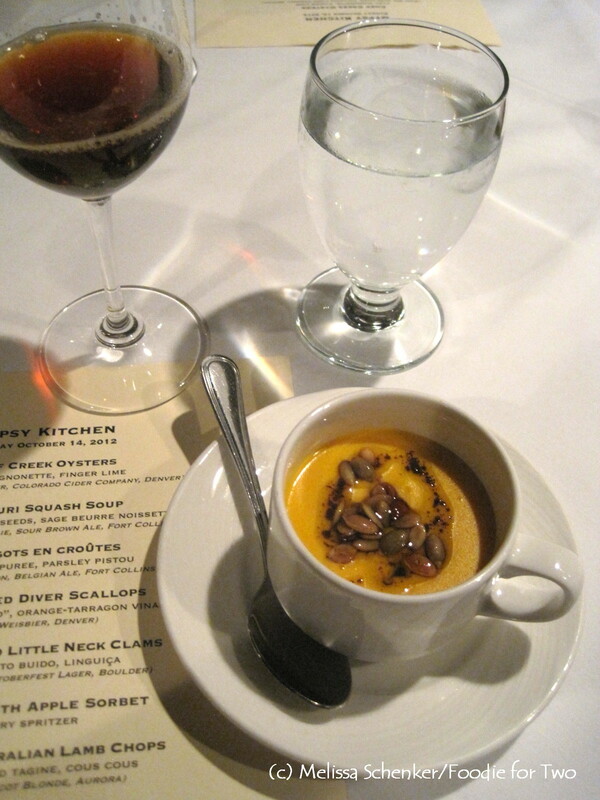 Serve bubbling hot and savor the flavors! Balance. It’s always a moving target but at least I know with homemade food I can satisfy and nourish my soul. As I settle into my new groove, I look forward to sharing my stories more often and reconnecting with food – and you – again. Broccoli: In a medium soup pot, fill ¾ full with water and bring to a boil. 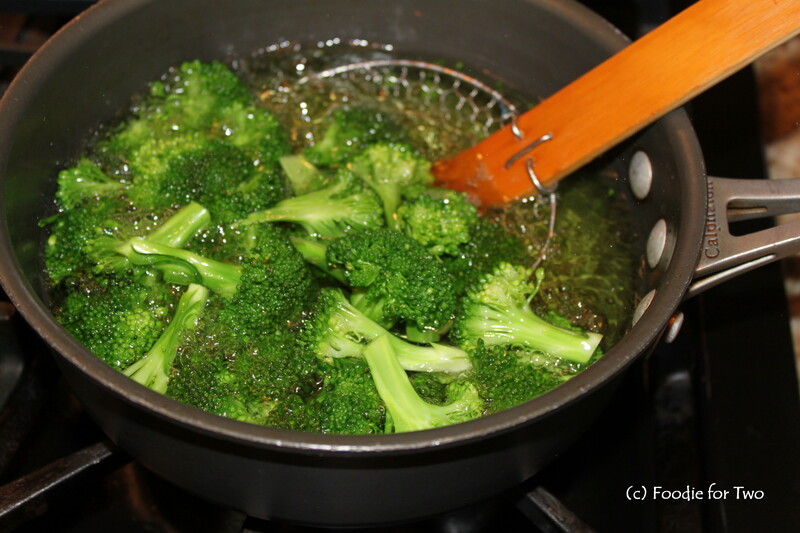 After water has come to a boil, add a pinch of salt and the broccoli florets; par-boil for 4 minutes. Transfer to an ice bath (large bowl filled with water and a good layer of ice cubes) and let sit for 2 minutes. Drain, transfer to an 8” x 8” cooking dish and toss with a small amount of olive oil and some salt and pepper to taste. Arrange around the perimeter of the cooking dish. Chicken: Heat a medium skillet to medium-high and add the oil. While the pan is heating, add the flour and spices to a small paper bag and dredge each piece of chicken, dusting off any excess flour. Transfer to a plate and continue with the remaining chicken pieces. When the oil is hot, add the chicken and cook for 3 minutes until golden brown, turn over (add a bit more oil if needed) and cook for another 3 to 4 minutes. Transfer chicken pieces to the middle of the cooking dish. 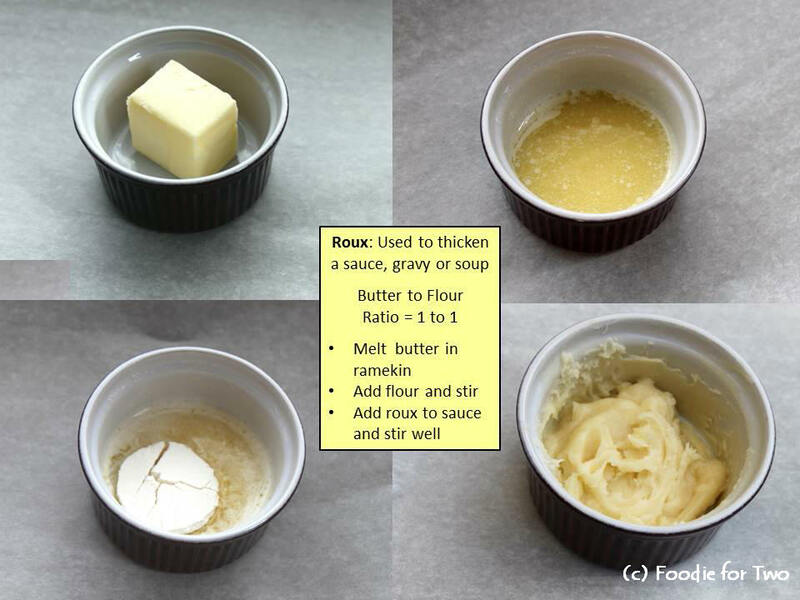 Sauce: For the roux, add the butter to a ramekin or small glass bowl. Microwave on 10 second increments until the butter is melted. Add the flour and stir well, set aside. Using the same skillet that the chicken was cooked in, turn the heat to medium and add the sherry and water to de-glaze the pan. Cook for 5 minutes to reduce. Add the roux and stir well until it is completed incorporated into the liquid. Add the milk and whisk together; bring to a boil to thicken, about 5 minutes, stirring often. Add the cheese, mushrooms and spices, and stir well to melt the cheese. 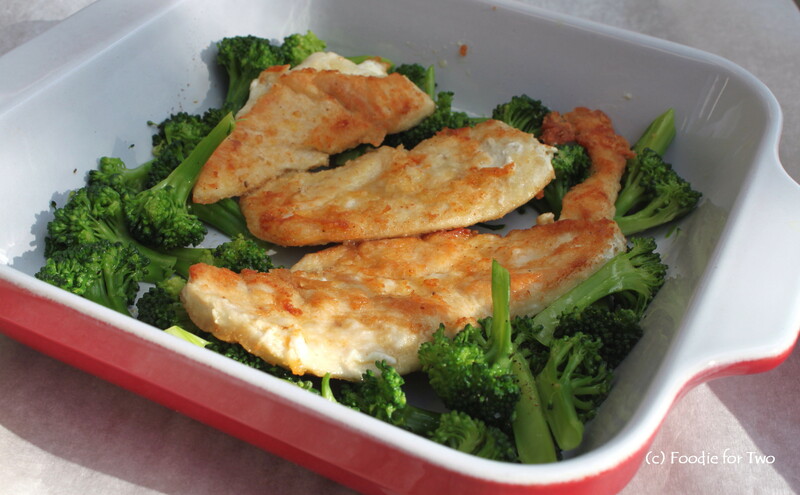 Pour sauce over the chicken and broccoli in the cooking dish and bake uncovered for 20 minutes. Serve hot. 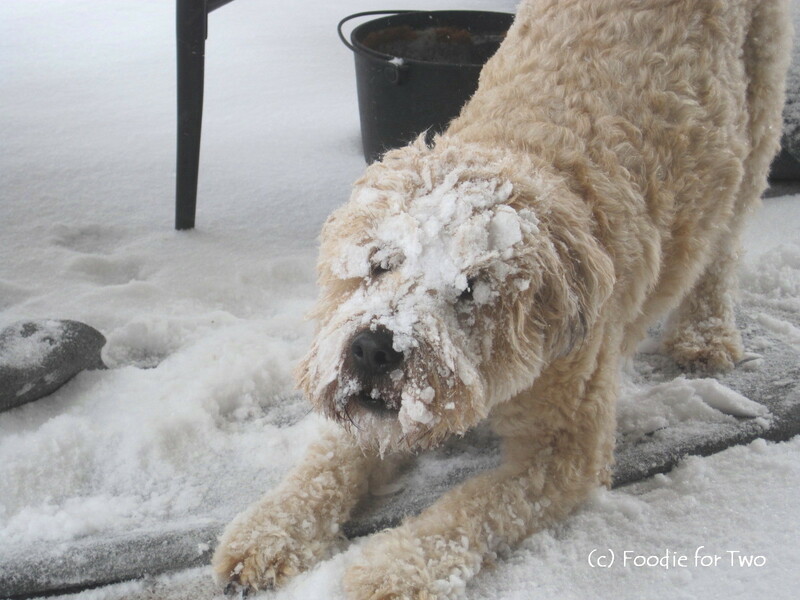 In April I couldn’t resist capturing this playful shot of Murphy after he buried his face in the snow. Thankfully the ground is now covered with green grass and the tree leaves are almost fully grown. Denver hosted the 2012 Great American Beer Festival (GABF) for 3 days last week (tickets sold out in less than an hour!) and the food, beverage and restaurant community was abuzz with excitement for the artisanal suds. 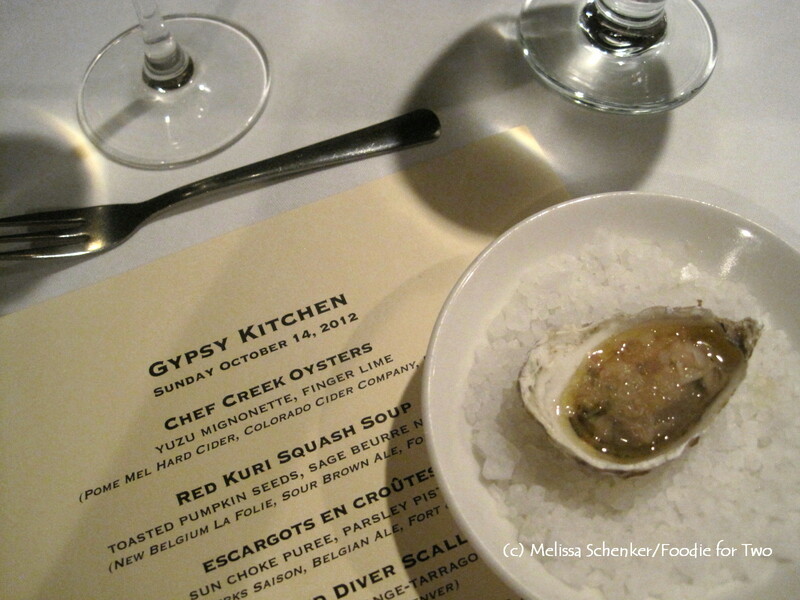 On Sunday, a local supper club offered a GABF-themed beer pairing dinner that was held at one of my favorite restaurants, Mizuna. We snagged two seats for the Gypsy Kitchen dinner, excited to sample some of the beers and dine in this top Denver restaurant. 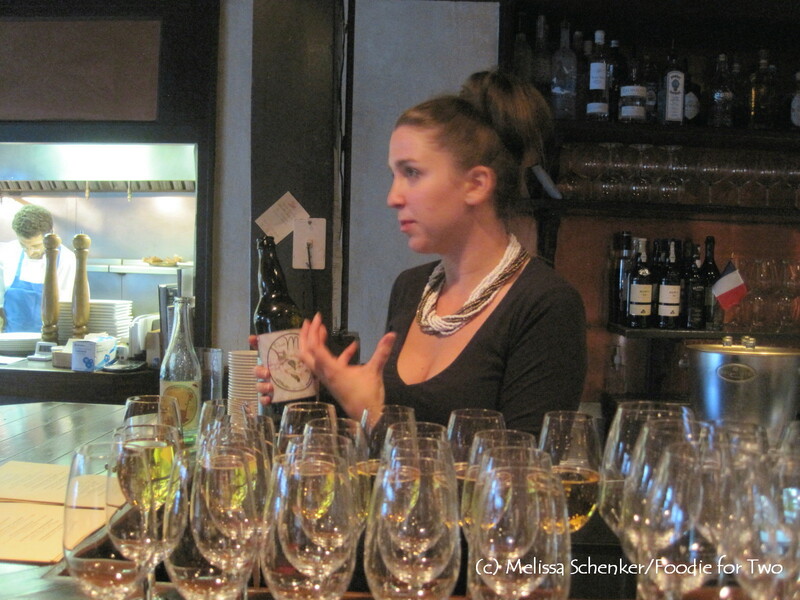 Sommelier Alex Kayir selected her favorite beers from the festival, deftly walking us through each sampling and food course. 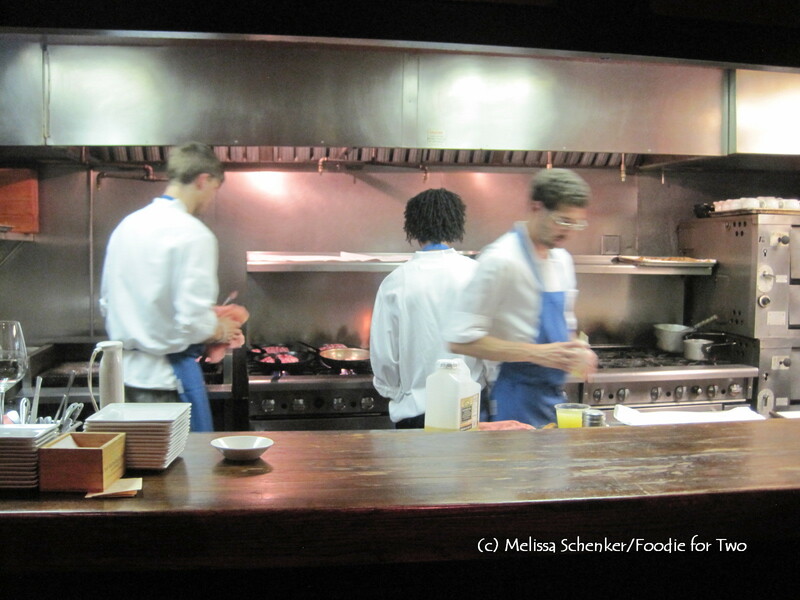 I’m told the supper club is a passion project of Mizuna chef, Jon Robbins and it shows. 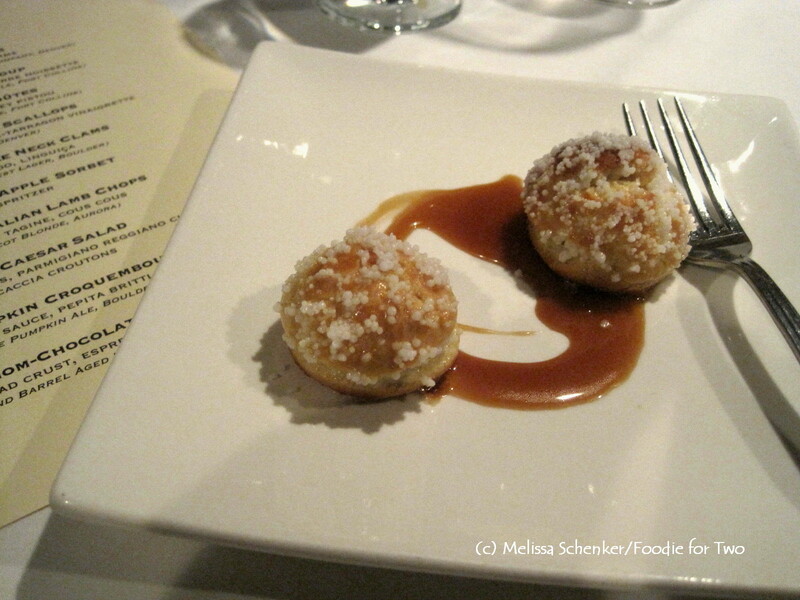 Each course was superb with crisp, bright and beautifully contrasting flavors. 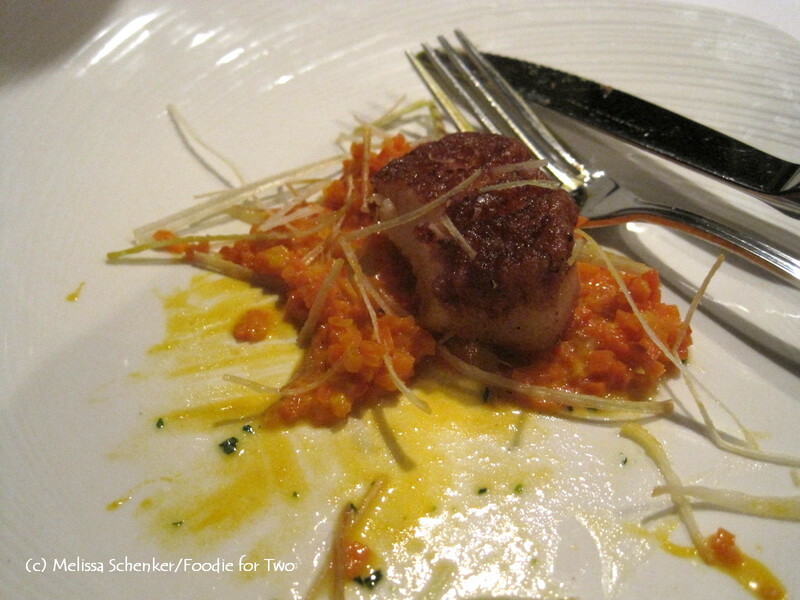 I was a happy foodie! The guests seemed to be kindred spirits and we all shared in the food sensory experience – it truly was a magical evening with amazing food and people. 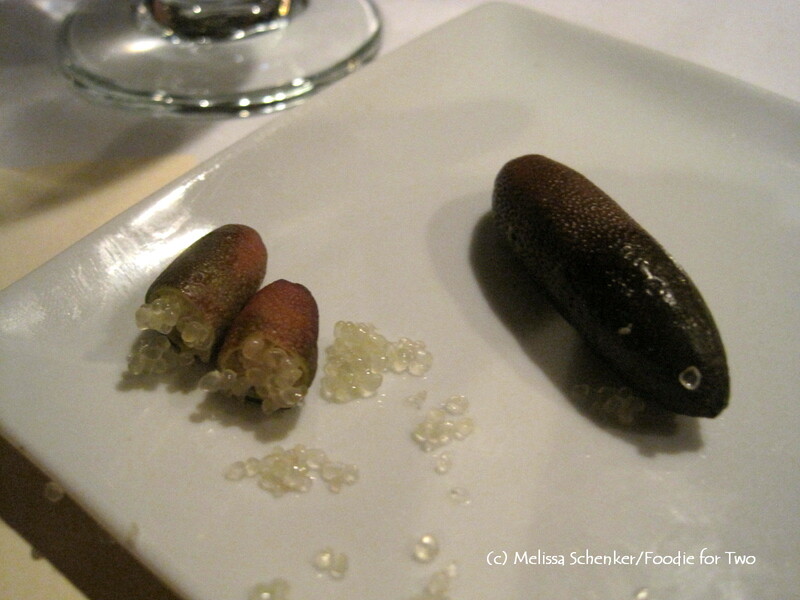 Have you ever heard of a finger lime? This was the first time I had ever seen one; the tiny pearls were used to further adorn the oyster. 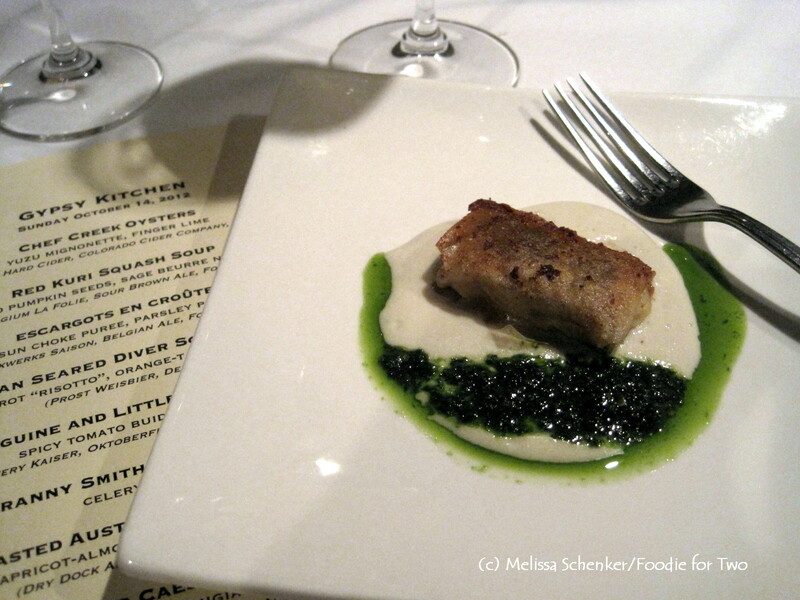 It reminded me of tangy lime caviar – loved the texture. 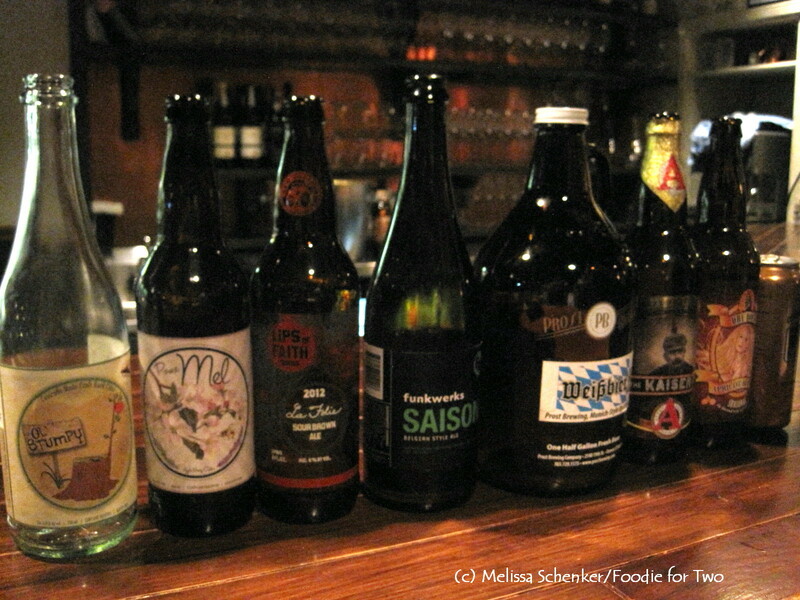 And the beer pairings – all excellent! 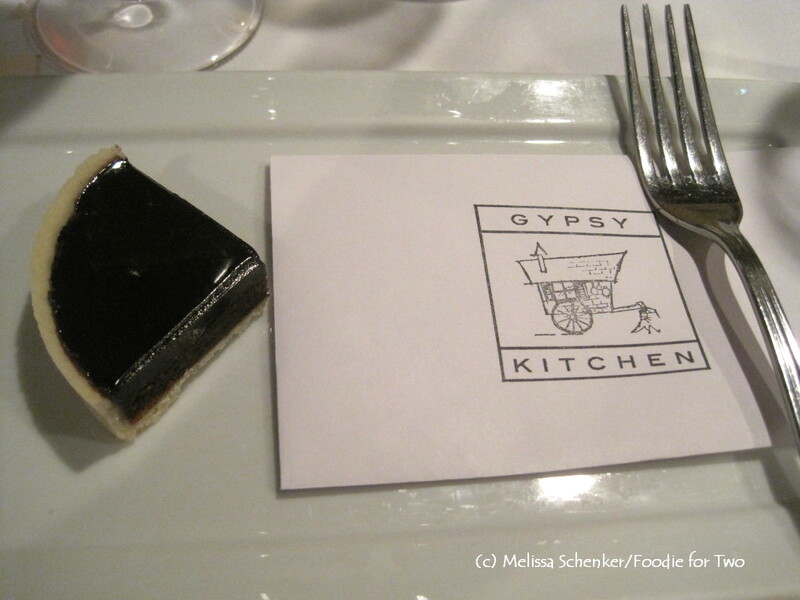 Something always fun to share with friends and loved ones, especially at Gypsy Kitchen, or Mizuna! Looking for something different to grill this Labor Day weekend? 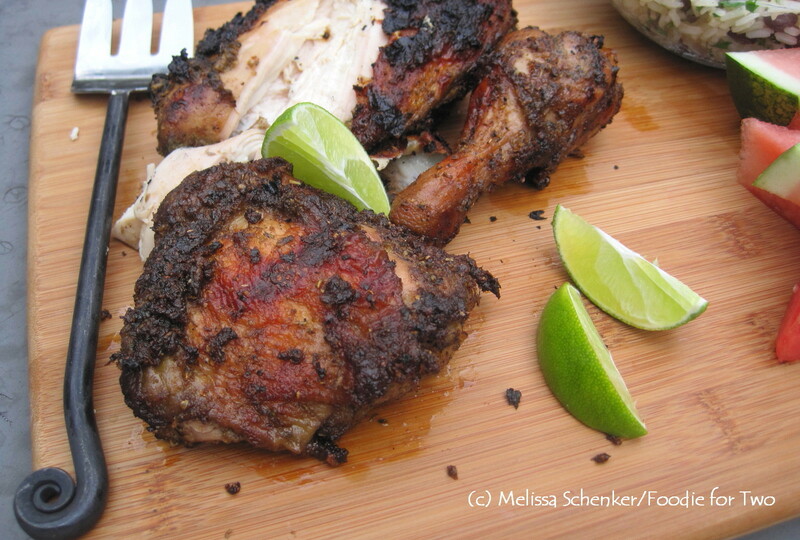 Borrow a recipe from the Caribbean and try some Jamaican Jerk Chicken, loaded with tons of spicy, sweet and bright flavors. Inspired from our stop in Jamaica earlier this summer (lunch after the zip line), I broadened my horizons and tried making Jerk Chicken at home. Thankfully the task was made much easier by a timely article in Cooks Illustrated magazine (July/August 2012) with a well-tested recipe. In the article they explain their trial and errors in getting the flavors just right, include some science behind the food, and share grilling techniques to make the chicken succulent and moist. 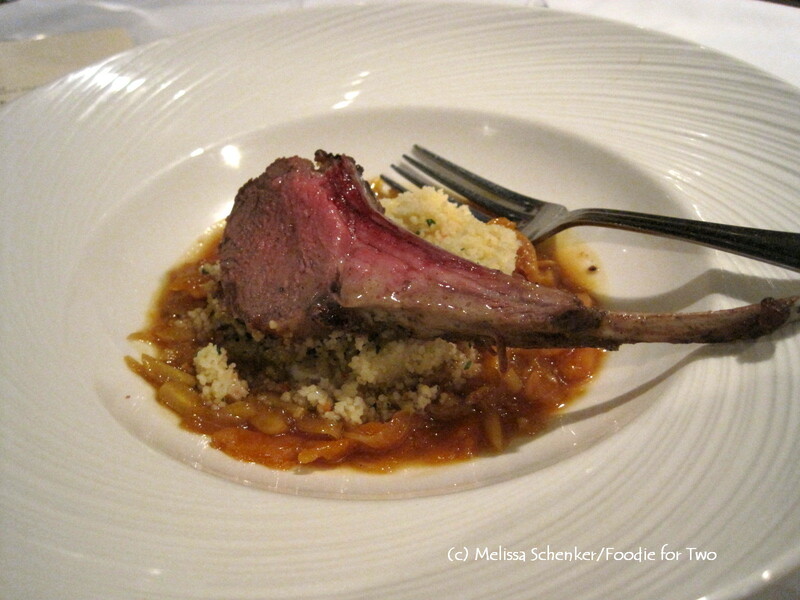 As usual, they were spot on with flavors and techniques; you can read the abbreviated article here. We’ve made this recipe numerous times since and always get great results with juicy, flavorful chicken. Even though it may sound spicy, don’t skimp on the habanero peppers because they add a wonderful flavor punch without the extreme heat. To round out the meal, we added jasmine rice with black beans and some watermelon slices. 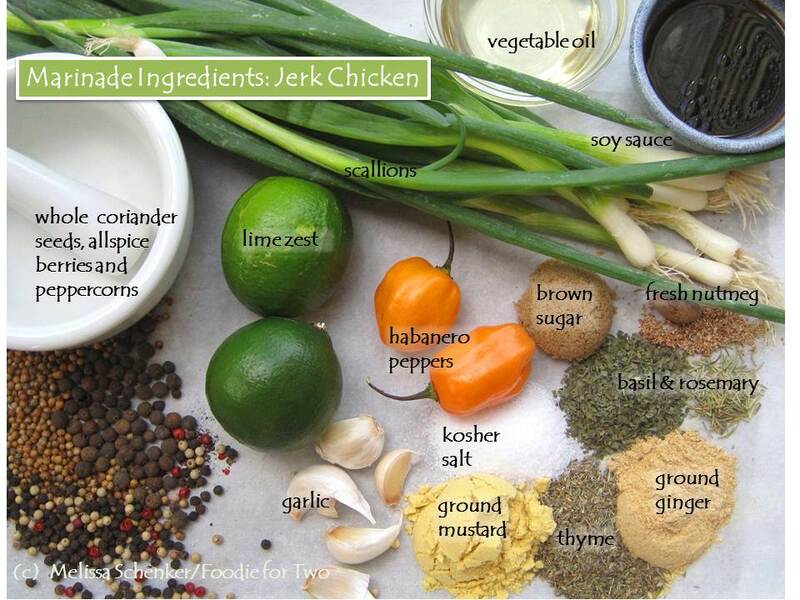 This menagerie of spices is what makes the jerk chicken so flavorful – 17 ingredients in all, but the blender does the work for you. The chicken and spice paste are added to a Ziploc bag where they marinate from 30 minutes, or up to 24 hours which is what we prefer because the flavors penetrate all through the meat. I modified the recipe for two people with one large chicken breast, 2 thighs and 1 drumstick – all bone-in and with skin on. Their recipe also calls for smoking the chicken using a foil packet with spices and wood chips, an easy way to add delicious smoke flavor, but we never seem to remember this part. With or without this step, the recipe is still delicious and easy to put together. If you want more visuals, Cooks Illustrated created a video for this recipe that quickly steps you through making the marinade and grilling with indirect heat, the secret for juicy chicken – including how to make that simple tin foil smoker packet. Whatever plans you may have for Labor Day, celebrate your day as an American worker. 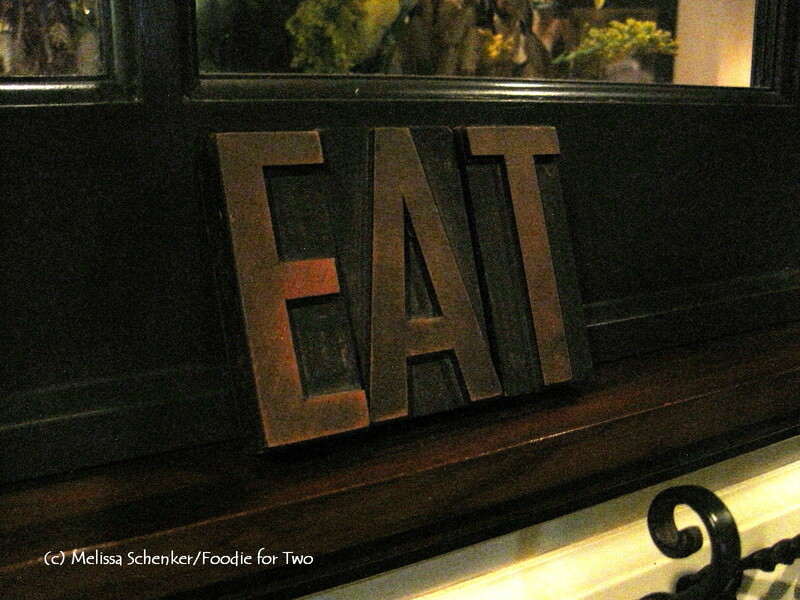 And make sure you enjoy some scrumptious food with loved ones and friends! Add the chicken pieces to a gallon Ziploc or freezer bag; place the bag in a large, shallow bowl. Marinade: Add the whole allspice berries, coriander seeds and peppercorns to the blender and replace the lid. Pulse on highest speed (“ice” if available) until coarsely ground. Note: You can also use your mortar & pestle or spice grinder to grind these spices, transfer spices to the blender. To the blender, add the remaining ingredients and process until a smooth paste forms. Transfer the mixture to the bag with chicken, seal well, making sure all the air is removed. From the outside of the bag, massage the paste into both sides of the chicken pieces. Store the bag of marinated chicken in the bowl and place in the refrigerator for 30 minutes, up to 24 hours. Grill (using gas grill): Turn all burners to high, cover and heat grill until hot, 15 to 25 minutes. Turn primary burner to medium and turn off all other burner(s). Clean and oil cooking grate. Place chicken, with marinade clinging and skin side up, as far away as possible, with thighs closest to fire and breast furthest away. Cover and cook for 30 minutes. Move chicken, skin side down, to hotter side of grill; cook until browned and skin renders, 3 to 6 minutes. Using tongs, flip chicken pieces and cook until browned on second side and breast register 160 degrees and thighs/drumsticks register 175 degrees, 5 to 12 minutes longer. 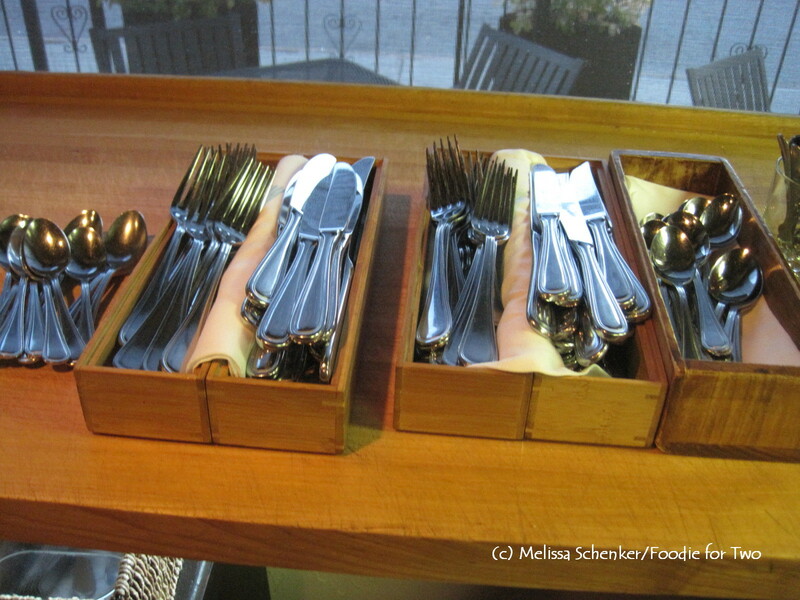 Transfer chicken to serving platter, tent loosely with foil, and let rest for 5 to 10 minutes. Serve warm or at room temperature with lime wedges. My parents often cooked when we were kids, and they sometimes made recipes that exposed us to different cuisines. Some we never cared to repeat and some became family favorites, with each sibling putting their own mark or twist on it. Dad’s fried wontons served with a garlicky, ginger soy dipping sauce were a favorite because they tasted like real grown up food, highlighting vibrant flavors and crunchy textures. He picked up the recipe while enrolled in culinary school in Texas and it was often a menu item for their backyard parties. Ground beef, carrots, raisins and onions make up the filling and with Dad’s version it gets rolled into an eggroll wrapper (we still called them a wonton) and fried to a crispy golden brown. With the soy dipping sauce drizzled on every bite, it was the ultimate savory and sweet combination. My deconstructed version has a crisp crunch from the butter lettuce, with all the flavor memories intact. Ground chicken or turkey can easily be substituted for the meat, just be sure to add extra seasoning. A soy dipping sauce pulls all the flavors together and enhances the taste of this meal. 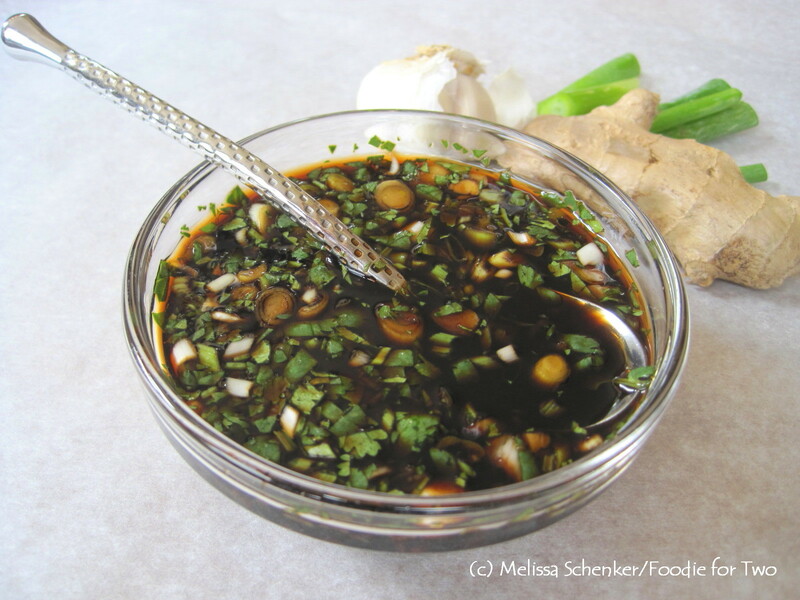 The salty tang of soy sauce is combined with spicy ginger root, rich garlic, oniony scallions and bright cilantro for a superbly delicious sauce! A spoonful for every bite is certainly warranted. 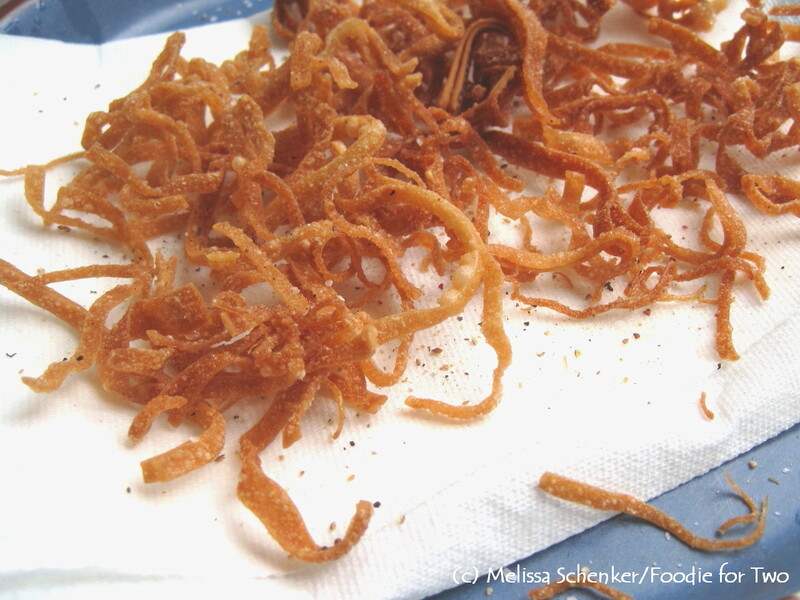 Here’s where the crispy wonton part comes into play. Instead of frying the whole meal as an eggroll, I thinly cut a few wonton (or eggroll, whichever you can find) wrappers into thin strips and fried them up in a small amount of oil. They provide the perfect crunch on top and remind me of the wonton taste. For those of you who aren’t familiar with butter lettuce, also known as Bibb or Boston lettuce, it has a slightly sweet, buttery flavor with thick leaves – perfect for lettuce wraps. I like to buy mine live (living greens) with the root ball attached and packed in a large clam shell, pictured below. 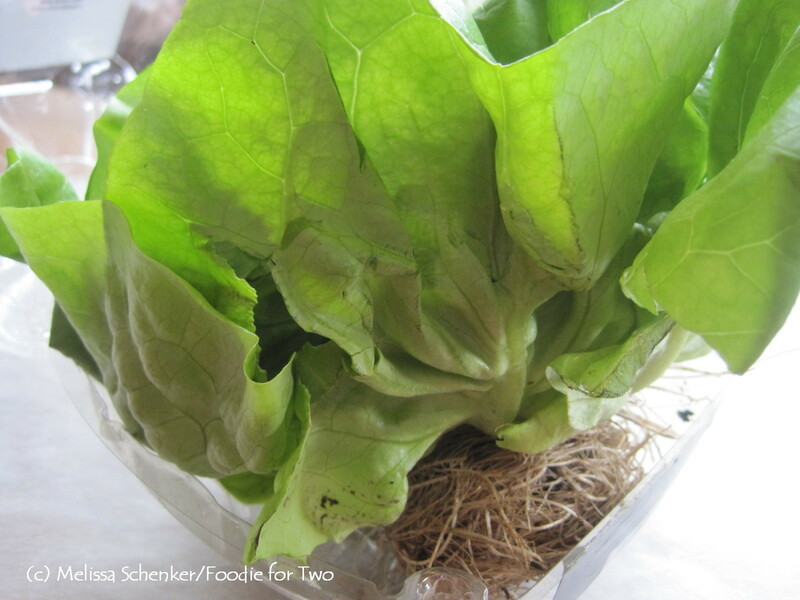 It lasts for 2 to 3 weeks in the refrigerator if the root ball is kept moist. If you are yearning for something fried as I often do, here’s how to enjoy Dad’s original wontons: Simply heat your oil (about 2 ½ to 3 inches deep in a medium sauce pan with tall sides) to 350º and assemble the wontons: Add about 1/3 cup filling to the bottom half of an eggroll wrapper (a generous tablespoon for wonton wrapper), roll up like a burrito (for wonton: arrange wrapper with corner at top, place filling in the middle and fold in half) and seal the last edges well with a fingertip dipped in water, repeat process. Fry in small batches until golden brown, about 3 to 5 minutes. Let drain and cool slightly on a plate lined with paper towels. Serve hot with the soy dipping sauce. Fry the wonton strips: Add oil to a small sauce pan with tall sides, enough so oil is about 1 inch deep and heat to 350º over medium-high heat (do not leave pan unattended). Cut the wontons into very thin strips and gently run your fingers through them to loosen. Fry in small batches until lightly golden brown, about 3 to 5 minutes. Let drain and cool on a plate lined with paper towels; season with salt and pepper while still hot. Filling: In a medium skillet over medium heat, add 1 teaspoon oil and the onions. Sauté until translucent, about 5 minutes. Add the grated carrots along with a few drizzles of oil and continue sauteéing for another 3-4 minutes, until carrots are almost tender. Mix in raisins and transfer to a medium bowl. 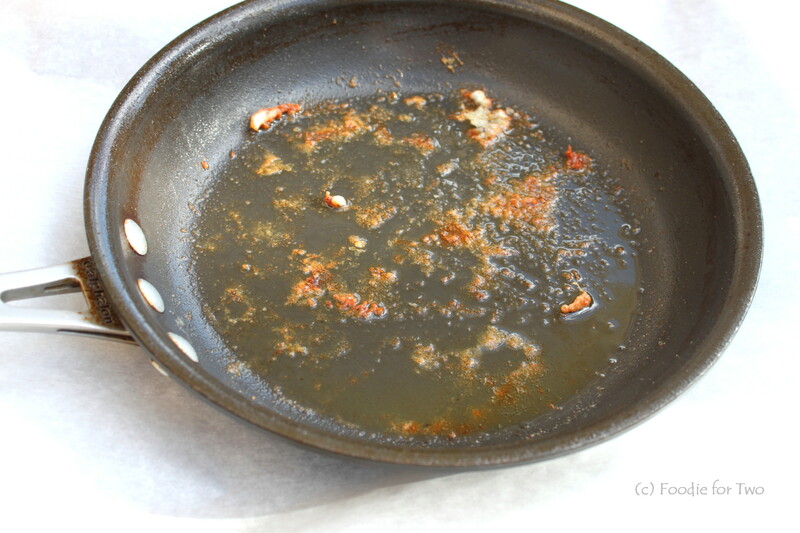 In the same skillet over medium heat, add a few drizzles of oil and the ground meat, break up with the back of a spoon. Season with ¼ teaspoon salt and 1/8 teaspoon fresh cracked pepper, mix together and continue to crumble meat as it cooks. When meat is done (no longer pink in the center), add the minced garlic and cook for 30 seconds. Add the grated ginger, cilantro and lime zest, stir well and mix in the onion carrot mixture, stir together until well combined and keep hot. 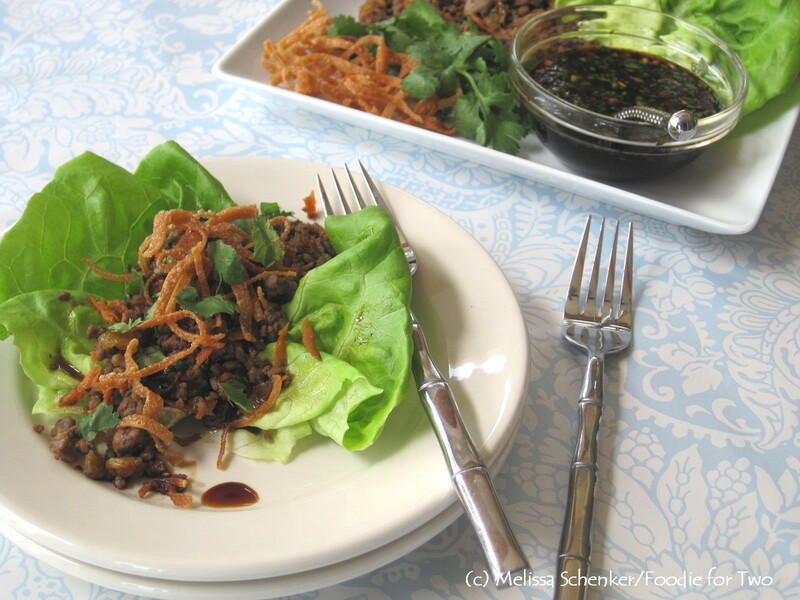 Using a large plate or medium platter, arrange the wonton lettuce wrap ingredients for serving. To assemble a lettuce wrap, add some filling to the middle of the lettuce leaf, drizzle some soy dipping sauce, add a few cilantro leaves and top with wonton strips. Finish with a bit more of the soy dipping sauce. 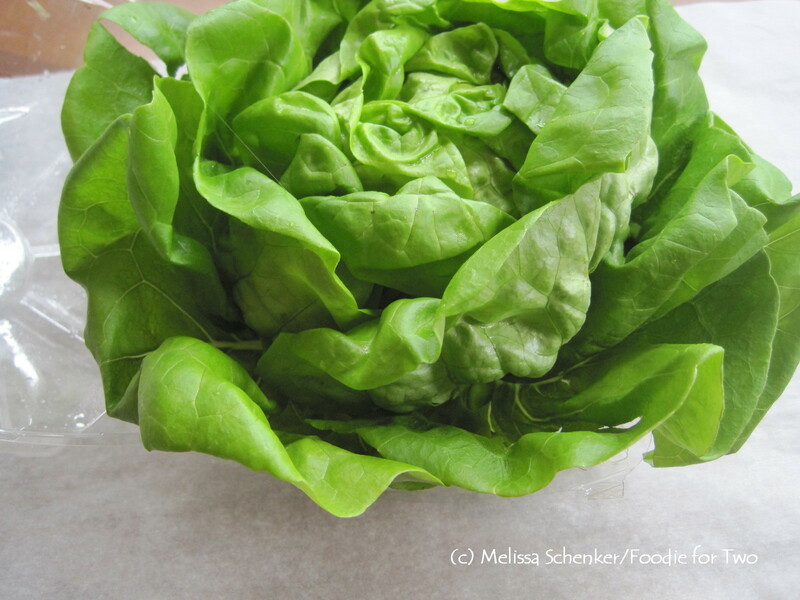 Fold the lettuce leaves down and over each other, and eat with your hands. 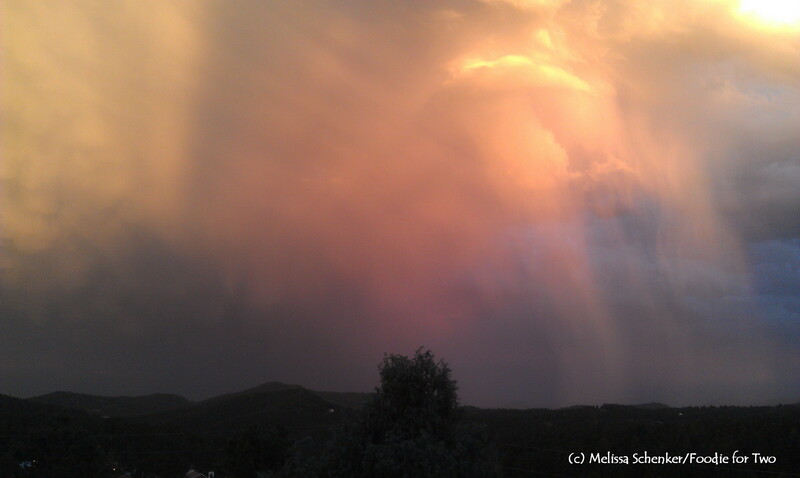 A recent summer sunset from our front deck! Downtown Denver has so many great places to eat and there is a deli that has enamored my taste buds for several years. I don’t get to Masterpiece Deli that often – maybe once or twice a year – and that’s why it’s such a treat when I do. This is my riff on a sandwich that they have perfected, the Seared Ahi Tuna sandwich. They make it with fresh, seared Ahi tuna slices that are piled on an English muffin with wasabi mayonnaise and Asian slaw made with green cabbage. It’s a simple combination that delivers with tons of flavor. The English muffin adds a slightly sweet and soft bite, the coleslaw gives some crunchy texture and the wasabi mayonnaise ties it all together with a spicy zing. Here’s how I changed things up for my version: I love red cabbage and always use it for my coleslaw – it has great flavor, fun eye appeal and lots of nutrients. The coleslaw also has carrots, rice wine vinegar, cilantro, mayonnaise and scallions. To recreate the wasabi mayonnaise, I used some of David’s homemade horseradish because we always have it on hand and it has the same flavor zing without any dyes – stir a dollop into some store-bought mayonnaise and you have an instant spicy spread. When buying tuna, get the freshest available, from a reputable source and buy it the day of your meal; I bought mine from my local grocery store. You only need 8 ounces (half a pound) of meat for two sandwiches, and the trick is a smoking-hot pan to sear just the outside, with a rare inside. After the tuna cools use a serrated knife to make slicing easier. Don’t worry if some of the meat falls apart, it will get covered up with the other ingredients on the sandwich. If you are strolling through the Denver Lower Highlands (LoHi) neighborhood and near the Highland pedestrian bridge, be sure to stop by Masterpiece Deli to enjoy their delicious, creative spin on sandwiches. And then stop by another one of my favorites, Little Man Ice Cream for a scoop (or two) or the best hand-made ice cream. Coleslaw: Add the mayonnaise, salt, pepper, rice wine vinegar, scallion and cilantro to a medium bowl and mix well. Add the cabbage and carrots and mix together with a fork until the mayonnaise mixture and cabbage are well incorporated. Cover and refrigerate until ready to assemble sandwiches. The coleslaw tastes best if allowed to sit for at least 15 minutes for the flavors to develop and cabbage to soften. 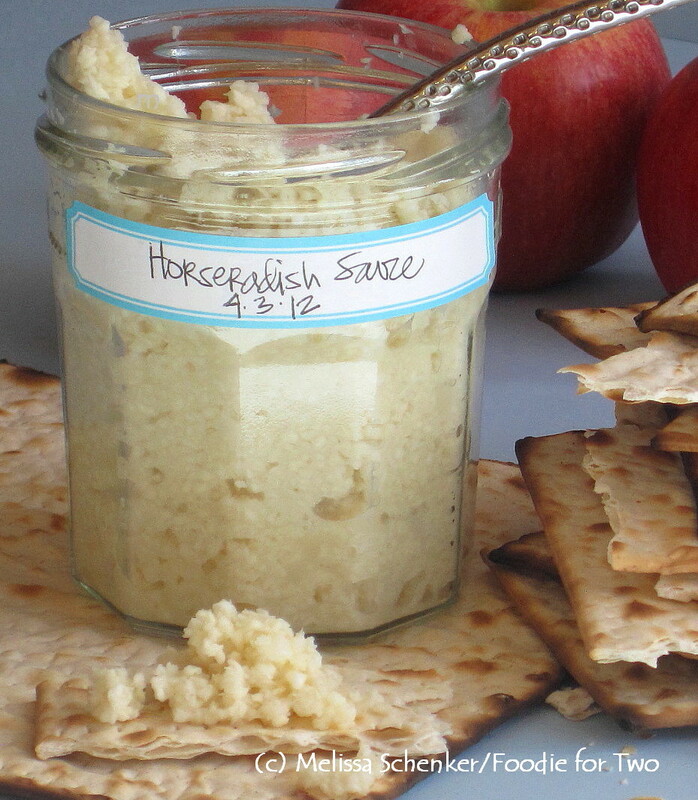 Horseradish Mayonnaise: Add the mayonnaise and horseradish to a small bowl and mix well. 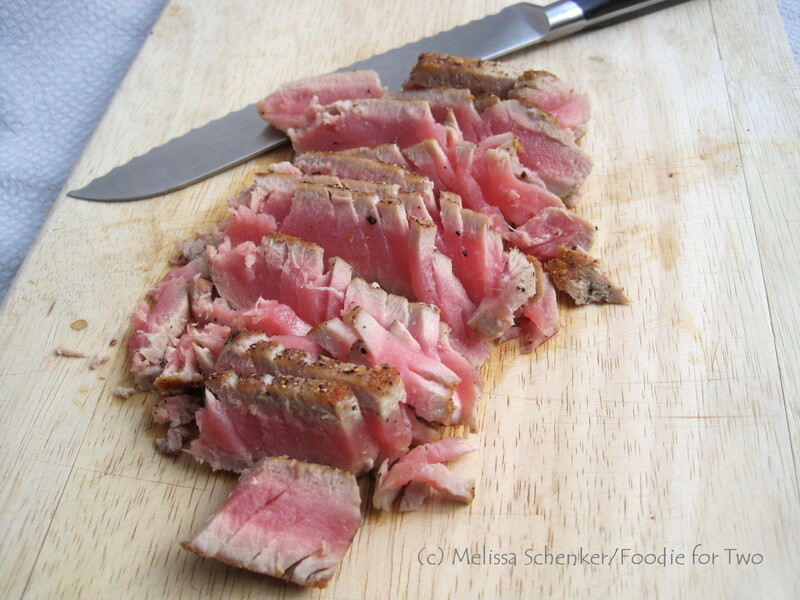 Seared Tuna: Add 1 teaspoon of olive oil to a medium skillet and heat to medium high heat. Drizzle a small amount of olive oil on the tuna steak and season with salt and pepper. Turn steak over and repeat with the olive oil and seasoning. When the oil in the pan starts to develop slight ripples – about 3 or 4 minutes – it is hot enough: the pan should be very hot to get a good sear on the tuna. Place the tuna steak in the pan and don’t move it. Let cook for about 2 minutes and turn steak over. Let cook for another 1½ to 2 minutes for rare doneness and remove from heat. Transfer to a cutting board and let cool completely, about 5 minutes. When cool, slice the meat into thin slices using a serrated knife. Assemble Sandwiches: Toast the English muffins until they are just golden brown and add some mayonnaise to both sides. 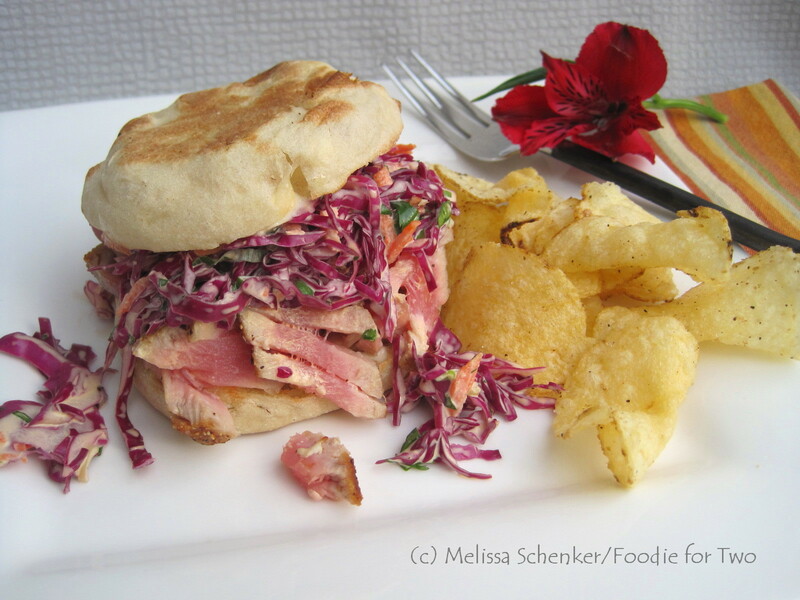 Add half the tuna slices to the bottom piece of each English muffin and top with about ½ cup of coleslaw. Place the top on sandwich and serve with your favorite potato chips or fruit.